The Sacred Heart Parish in Kolam inaugurated the Year of the Family with procession on 8th January 2014. The Catholic community of Tutsa tribe from Lazu circle of Tirap District is one of the most vibrant communities of the Diocese. Fr. Anil, the Parish Priest and Fr. Mani and the new community of the Sisters of our Lady of Garden gathered all the Catholics of the Parish from Kolam and other substations on 8th January for the procession to mark the inauguration of the Year of the Family in their Parish. The Procession went around the whole village from the with the school children and the Sisters leading the people in prayers and hymns and Rosary. 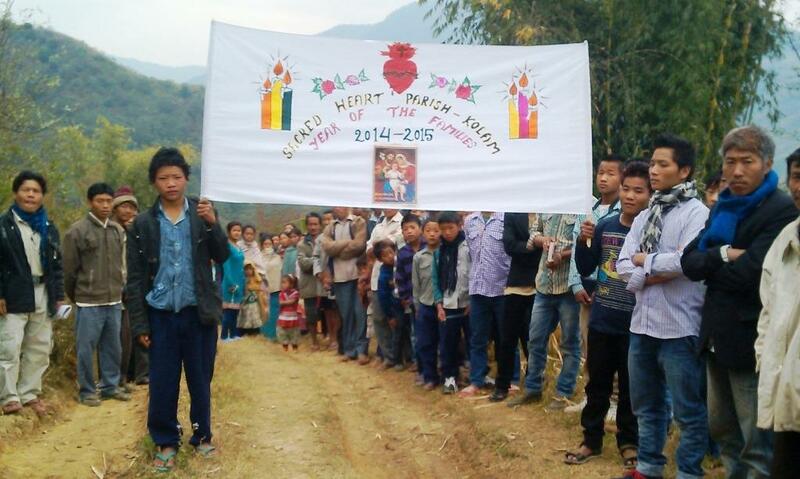 The Catholic faithful form Kothung, Tunjan, Tutnyu and Varangra were also present for the event.